Want to surprise everyone at your next picnic or get-together? Bring a jar of grilled pickles. Everyone will want to know how you did it. You don’t have to admit how easy it is. The pickles do get a little char flavor, but not much. They still taste like, well, dill pickles, but with just slightly less crunch. The grilled red onions do add a nice light onion flavor. 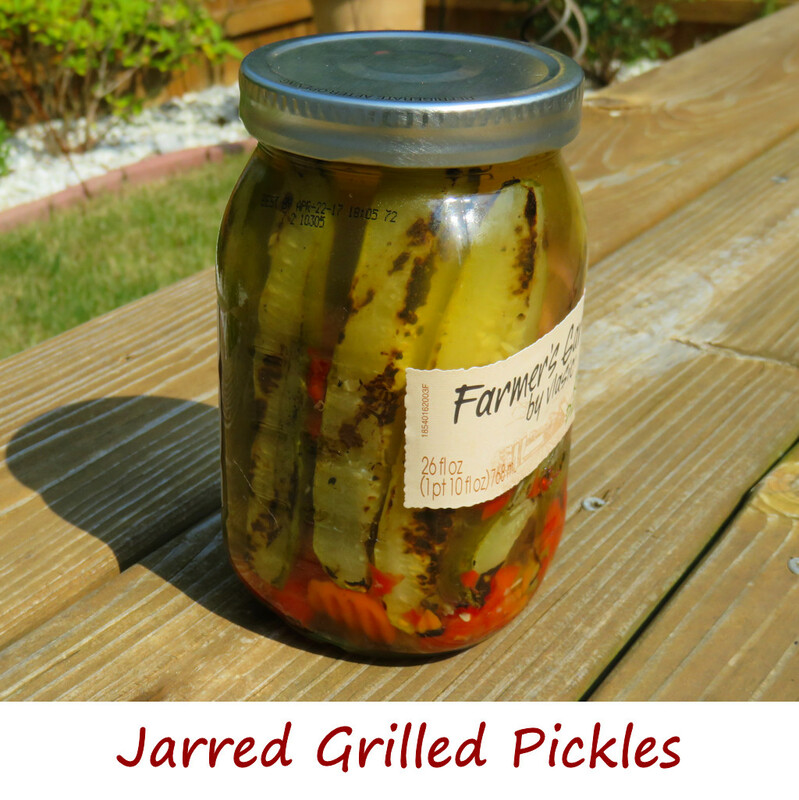 These jarred grilled pickles are good for 5 days. And don’t feel like you have to grill only spears. Sliced pickles or even whole pickles can be grilled just as well. If you don’t want to grill the pickles but still want a hint of grilled flavor, just grill some red onion and then add that to a jar of pickles and refrigerate overnight. If that’s enough, try pickling hot dogs too. They’re definitely different. And good! Drain the brine from the jar into a large bowl. Remove the pickles and lay onto a few sheets of paper towels. Dab with the paper towels to dry as well as you can. Transfer the pickles to another large bowl. Add the onion and drizzle with the oil. Toss gently to coat. Place pickles and onions onto the grill and grill on all sides until you get grill marks. Remove and let cool slightly before returning pickles to the jar. Add the onions and the reserved brine. Seal and refrigerate until ready to use within 5 days. This entry was posted in Other Stuff and tagged grilled, jarred, Jarred Grilled Pickles, pickles, recipe by Mike. Bookmark the permalink.